Is Norway’s asylum policy simply strict – or is it also fair and humane? In the coming weeks, approximately 200 young Afghans – the so-called “October children” – will have their cases re-assessed. Originally these children were granted temporary residence permits until they turned 18. Thereafter they were to be returned to life as internally displaced persons in Afghanistan, which in practice meant being sent to Kabul. Then the Norwegian Parliament voted for their cases to be re-assessed. The government was required to attach greater emphasis to the young people’s vulnerability and to assessing whether they had access to adequate contacts and resources to cope with life in Kabul. Too strict! This was Parliament’s view of the initial assessments. Parliament considered that the assessments failed to attach sufficient importance to Norway’s objective of implementing a fair and humane asylum policy. Accordingly, the new assessments must be different – something more – than the initial assessments. The new review must not be merely a hurried repetition of the first. The number of young people affected is not large. But the Directorate of Immigration must facilitate case-by-case assessments to establish whether each young person will cope on his or her own in Afghanistan today. A number of stereotypes have been generated during the debate, which have little basis in reality. Firstly, there is the notion that the “October children” come from well-to-do families with enough money to fund their journeys to the West and then north to Norway. Secondly, that they are “fortune-hunters” with fake tales of hardship – and no real need for protection. Such stereotypes are incorrect. Wealthy families did send their children – thousands of them – out of Afghanistan long ago, but categorically not on gruelling journeys organized by people smugglers, or on long treks across Europe. These families found far more comfortable solutions. Today many of these young people are living in the Gulf region – close to family members – and have been there for a long time. I know several of them personally. It is more difficult to put labels on the young people who have now arrived in Norway. Some have experienced the conflict-related deaths of close family members. Others come from rural towns controlled by the Taliban. Some have fled because they are afraid of being the next person to be in the wrong place at the wrong time, given that the conflict is now taking the lives of ever more Afghan civilians. Others have fled because of pressure to take up arms in the conflict – including for the Taliban. Some grew up in Iran and have never lived in Afghanistan at all. For many of these young people, a return to their own families or to networks of contacts in rural towns is impossible. So is it reasonable to send them to Kabul – a large city far from their original homes? In Afghanistan, networks of contacts – in practice, a person’s extended family – are essential for survival. A young person from Faryab – the “Norwegian” province in the north – cannot be dumped in Kabul without any contacts there. It will be almost impossible for a lone teenager from another part of Afghanistan to find work in the capital. And it is very difficult to gain access to education in the city without relatives to pay the fees. Indeed, without a network even something as basic as setting up one’s own family is almost impossible. In Afghanistan, marriage is something agreed by two families for their mutual benefit. Without a network in Kabul, a “return” to the city means casting young men into an existence that lacks any perspective. There are already tens of thousands of unemployed young people in Kabul, and just as many who survive through criminal activity, in addition to a multitude of drug addicts. In order for the re-assessments to be fair and humane, it is important for the Directorate of Immigration to understand the diverse nature of the young people affected. And it is important for the authorities to understand what life in Kabul will be like for very many of them. At the same time, the authorities must do their utmost to get in touch with asylum seekers who have fled from Norway due to fear of being deported to Kabul. Many of these asylum seekers are now in Paris. If our aim is to show that Norway’s asylum policy is fair and humane, we must do our utmost to reach this group. Some of them managed to appeal the Directorate’s decision, only to receive an even harsher ruling from the Norwegian Board of Appeals. A failure to include this group of asylum seekers in the reassessment would run counter to the basis for the Parliament’s decision – and to a common sense of justice. So far I have not mentioned the security situation in Kabul. Attacks have increased in both number and size in recent months. More and more civilian lives are being lost. 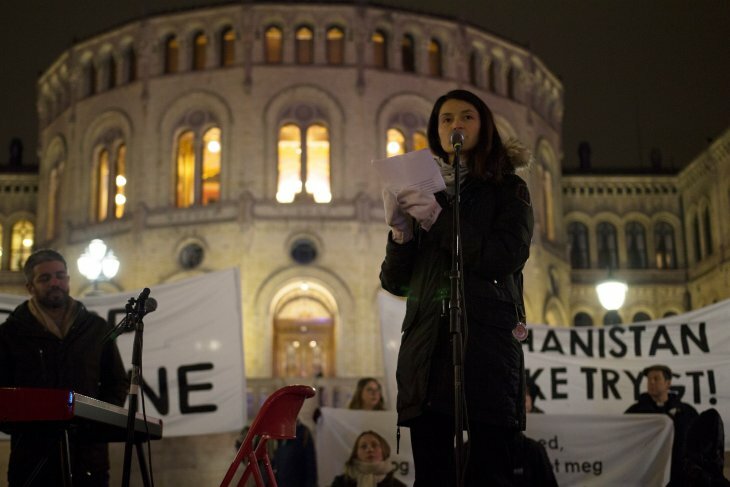 During the most recent attacks, the Norwegian media focused on foreign victims. But it was civilian Afghans who bore the brunt of the attacks. According to President Ghani, Kabul is under siege. The American NATO commander in Afghanistan has said that the capital is being attacked by a determined enemy. CNN reports that Kabul is a war zone. How does this affect Norway’s position that the capital is a safe place to return people to? It is easy to become emotionally involved. But we cannot have a situation where every application that is refused or granted is seen as a victory or a defeat. There may be good reasons for every decision. But what is certain is that Parliament has required a re-assessment and that this process must be different – more just and humane – if it is to have any meaning whatsoever. The author of this post, former UN SRSG and Ambassador to NATO Kai Eide, is one of the guests at the Afghanistan Week 2018. Follow this link to view the full programme.